It has always been assumed that the maximum you can load at Family Dollar is $500 a day. 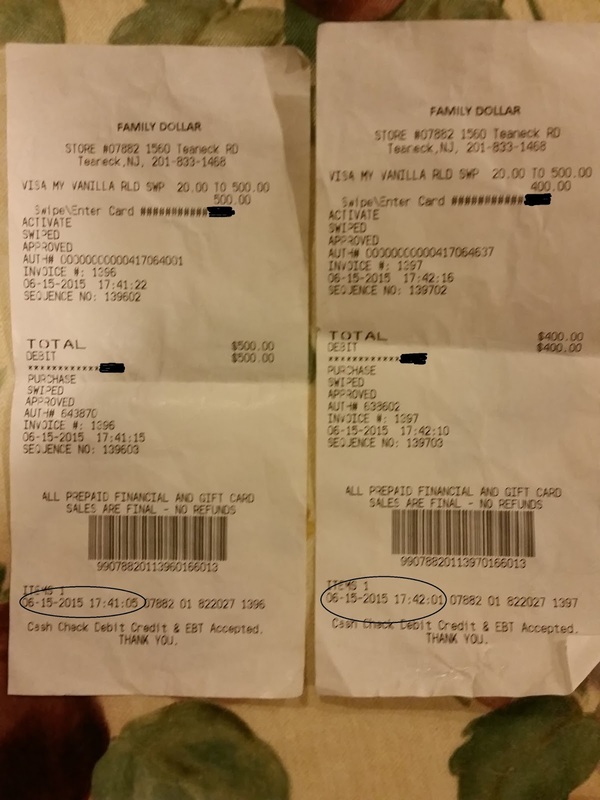 This maximum was $500 a day per store, not per person. This meant that if someone came earlier and loaded $500 you are out of luck that day. I don't know if that was ever true, but it is certainly not true anymore. As you can see with the receipts above, I loaded $500 on one Serve card, followed by $400 on another Serve Card 50 seconds apart. She told me that $900 can be loaded every 3 hour block. If you load $900 at 9am or 10am, no one can load until 12pm. 12-3pm is the same, etc. Is this true? I don't know. Try different combinations yourself and see what works. Bottom line - load limits are not clear, but they are certainly more than $500 per store. Test the limits with different amounts and see what works and what doesn't.